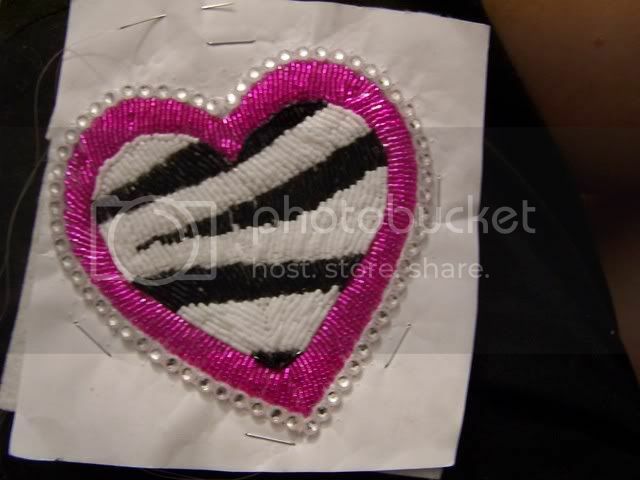 I want to have some ready made beaded barrettes in some generic designs at the next powwow we vend at. I'm having some trouble deciding on a few designs. Nothing tribal specific, just some generic designs like roses, hummingbirds, medicine wheels, etc. What do you think would sell well? I do beadwork also and roses seem to sell real well.....so do any other floral type design. Other designs that have sold well for me are geometric designs, teepees, and for kids...looney tunes, hearts, animals, any cartoon character. I would have said the exact same thing, but you beat me to it. I didnt think about cartoon characters! Thats a great idea. Make them kind of small and sell them at a good price, the kids will love those. Thanks! Also try coloring books, "if you havent already" Thats where I go ive found some real pretty roses in the Disney Princess coloring books, also online color pages, they are free to print . Also ive went on decal sites, enlarged something I liked, I used med wheel and a real pretty feather, its really endless if you juss open your mind!! Thast what i do.. Hope this helps if you have any questions im sure one of us would be glad to help you out!! EP, ya sound like me. I still have the school's password to a paid clipart gallery so I go in there, open the images and resize them in photoshop to the size I need. Then print it out, cut it out and glue it down. I use a little rubber cement to tack the paper to the material or whatever i'm beading on. My neice wants a cell phone cover beaded with Happy Bunny on it so I know how kids love cartoon characters. I went on a decal, bumper sticker site and found alot of cool stuffs, I always made it my own in some way so not to copy but got the generl shape of what i was wanting.. A while back I was askd to do a zebra print heart, I was like uuhhhhh lemme get back with you lol.. I did a zebra print search it too me me many places but one i ended up useing was a stationary site and it said I wsa able to print a pice for free so I did and just cut out the size heart I was needing and beaded away lol was a bit different but hey she payd 165 for a barett and hairtie set. And had askd for more..
Heres a pic of a large medalion I made a few yrs back, it was a staind glass pattern, juss beaded over the top of it. I LOVE the zebra print! It's too cute! Eagle Plumes, i noticed that you beaded right on the pellon with your zebra heart. I was wondering how you attach the beaded piece to the item you beaded it for without the pellon showing around it. sherry, I can answer how I do it. I trim it as close to the edge as possible, be careful not to cut your threads. Then I cut cardboard (Cereal box works great) just a little smaller and a piece of leather the same size as the piece. Glue the cardboard to the piece, and the leather to the cardboard. Then pretty it up with edge beading. The edge beading secures it too. Make sure to put the barrette or ties in before you put the leather on. Really easy to do. The pellon edges kind of roll under the edge beading. do you mean what I back it with? if so white buckskin.. "if that wasnt what you were asking please ask again I and I will give it another go lol" As for showing its like anything else juss trim it but not too close and as im beading the border on "i wrap n stitch" Its alot like Cherokee mom said only I dont use any glue at all cept a lil dab to anchor the ends of the rhinestone banding.. if that was waaay off lemme know lol..
awe chizz lol I oopsed and postd in yer need help thread instead of this one lol, and too lazy to write it here lol..
You might want to make some geometric design barrettes or with feather patterns.........I've noticed those seem pretty popular. Here's some of my barrettes...........the bottom dark blue barrette was made by a friend.........the others I made. Thanks everyone for the ideas and pics! EP, I never thought of doing patterns like the zebra stripes. I think I'm gonna do somethign similar but maybe with another shape. Anyways, thanks everyone!